Work on site at the historic former Oldham Library and Art Gallery on Union Street is expected to begin in the spring of 2019. 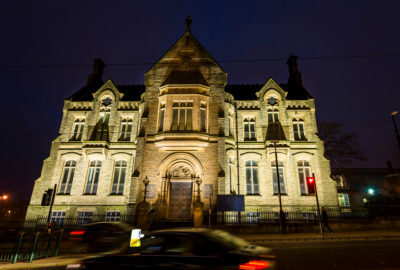 Following a period of surveys and studies on this much loved listed building the ‘green light’ has been given for us to get going on the new Oldham Heritage and Arts Centre. In 2016 Oldham Council was awarded a Heritage Lottery Fund grant of just under £3.4million for the project, thanks to players of the National Lottery. The total funding package also includes £4million from local philanthropist, Sir Norman Stoller, whose Charitable Trust has given millions to good causes since the 1980s. The venue will bring new life to an important heritage building and help create a vibrant cultural complex – sitting alongside existing destinations, Gallery Oldham and Oldham Library and Lifelong Learning Centre. It will feature a fantastic range of visitor facilities including a café, bar and performance space. The centre will be a new home for Oldham Archives and Local Studies Library. And it will provide more access than ever before to Gallery Oldham’s collections with three new permanent exhibition galleries. Last month it was announced that plans for an adjacent theatre development will not be progressing in their original format. However as part of this phase of the cultural quarter development, Oldham Council is also continuing to work with the Coliseum Theatre and Arts Council England to explore new options for the future development of the Coliseum Theatre.